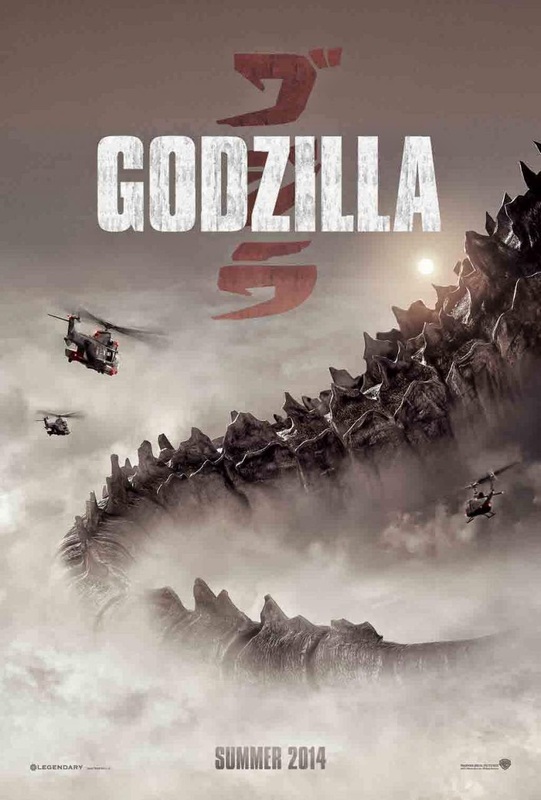 Godzilla (2014) Review: Roland Emmerich is sadly still the Master! Hello. This is a Korean in America. Today I went to the first showing of “Godzilla” (2014) with rather low expectations. The “Godzilla” (1998) movie directed by “Roland Emmerich” was just barely OK for me and I was never much of a fan of the whole “Kaiju” film genre from Japan. So, I was going in fresh as a somewhat “intellectual” movie goer and armature “critic” of movies if I could be even called that. I just wanted to see a lot of monsters busting stuff up and fighting each other. I went into “Pacific Rim” (2013) with the same expectations although I would have to confess that I am a little more biased towards giant robots. I got what I wanted from “Pacific Rim” (2013). This was not the case for “Godzilla” (2014). In its place, I got a very incompetent attempt to do a “Roland Emmerich” style human centered disaster movie in the vein of “2012” (2009). I cannot believe I am saying this but, compared to “Godzilla” (2014), “2012” (2009) shows a deep understanding of humanity. Once again, I cannot believe I am saying this in regards to a “Roland Emmerich” movie. I am not discussing this movie in the realm of not liking the movie. I am saying that this movie was so incompetent in basic movie making that it was painful to watch. At its core, a “Roland Emmerich” movie is a series of scenes that are designed to get an emotional reaction from the audience even though those emotions may not have any depth. Every explosion and every death shown on screen has a purpose or function either within the scene or within the overall plot. 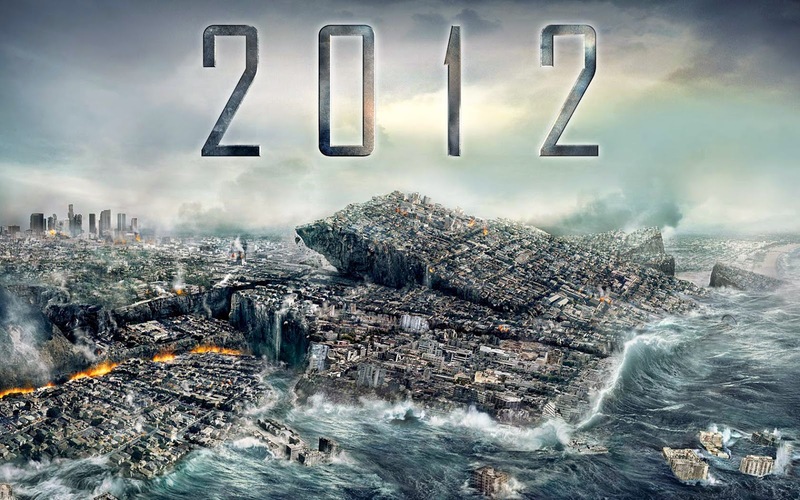 I am not saying “2012” (2009) is a great or even good movie. I am saying that it is competent is its basic skills of movie making. And this should actually be the standard in movie making and not the exception. It is like having the basic techniques to draw a picture. Having those skills does not mean that your drawings are any good but it does mean that you were at least trained in the craft. In a movie, any kind of movie, everything on screen should have a purpose. If you are a director who graduated from film school, you should be able to do this. The issue with “Godzilla” (2014) is that the director does not seem to do this. I am not sure if he actually attended film school as it does not come up on google. The director is “Gareth Edwards” whose resume is paper thin as he only directed an indie monster movie with a budget of less than a half a million dollars called “Monsters” (2010) before. He should never have been given a movie with an estimated budget of 160 million dollars. This lack of basic skill shows in “Godzilla” (2014) as it is a mess. “Godzilla” (2014) is a natural disaster movie with the monsters treated as … well natural disasters. So, the movie’s focus is actually on the human experience of going through those events with the monsters barely on screen. The monsters are only really on screen for about 15 minutes out of the running time of 123 minutes. I was so bored that I actually started to measure it with my watch timer. This in itself is not a problem. The problem is that the screenplay totally incompetent which becomes an issue when the focus is on the humans. You actually have to write drama instead of just writing “the monsters fight” and leaving it to the special effects guys to fill it in. When I say the screenplay is incompetent, I am not saying that the story is silly although it is ridiculous. There are 3 main problems with the screenplay. First, while the focus in on the humans, they do not actually play any significant role in the plot. If they just got out of the way of the monsters, the movie would have basically ended as it did and most of the people would have lived. Most of the human actions in the climax of the movie are basically about solving a problem they had created which is independent from what the monsters were doing. The movie also seems to acknowledge this at the end of the movie. So they shoved in a creation of a little distraction on the part of a single human to compensate. Second, more than half of the scenes either have no function within the plot or are redundant. An example would be to have provided exposition and then also show you a scene that provides the same information. You could cut all of those scenes out and the movie would not be better but far less painful than the current running time of 123 minutes. Third, the characters lack any kind of motive or functions within the overall story or even individual scenes. “Godzilla” (2014) goes for the Roland Emmerich’s a “cast of a thousand” approach. At any moment, there are many people on screen. It seems like many “actors” were on the payroll which is a good thing that they got paid as having this movie on one’s acting resume will not help one’s career. However, unlike in Roland Emmerich’s movies, “Godzilla” (2014) simply does not know what to do with all of them. Many of the characters simply do not seem to have any functions within the plot or even the scenes they are in. Not only were they useless, they all started to step on each other’s metaphorical acting feet. It is so clumsy that it is painful to watch. It does not help that most of the actors in the movie are terrible in it. 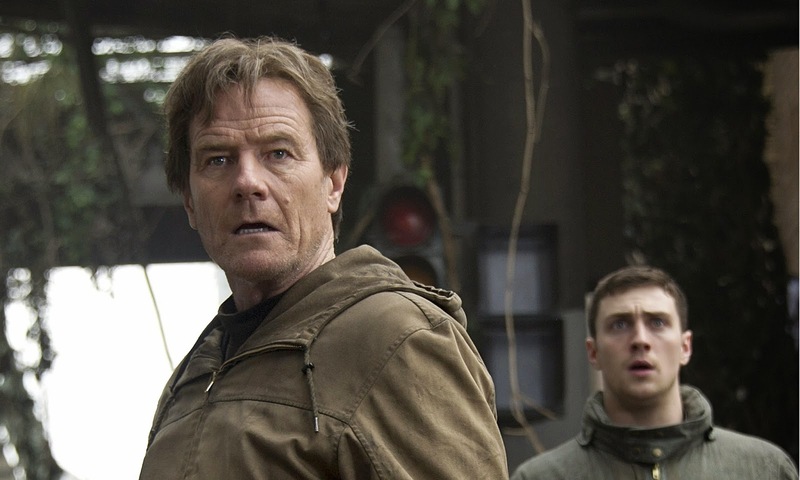 You have “Bryan Cranston” from “Breaking Bad” fame in the movie. “Bryan Cranston” is in the movie for about 30 minutes and it was embarrassing for him actually. There is nothing to his role other than to chew up the scenery “Malcolm McDowell” style. While “Bryan Cranston” is a great actor, he does not have the screen presence to be interesting on screen doing nothing more than chewing up scenery. He has to have more meat to work with. Being entertaining with almost nothing is a separate skill beyond his skill set. 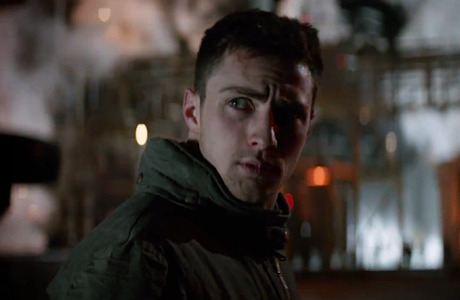 The rest of the movie follows “Aaron Taylor-Johnson” if you could call it following as he is only on screen for 20 % of the rest of the movie and has no real role in the plot other than very contrived ones. Who is “Aaron Taylor-Johnson”? He is a nobody and, from what I see here, you will not have to remember anything about him. He is simply terrible! At this point, you will be asking about the monsters. Did the movie provide a lot of monster battles? Once again, the monsters are only really on screen for about 15 minutes out of the running time of 123 minutes. Before the 90 minute mark, there is only about 9 minutes of monsters on screen. This is how those scenes go. For about 30 seconds to a minute at a time, you see a monster stepping on a few buildings and roaring once and then it walks off screen. Then, the camera shows you the wreaked city and the human actors acting poorly in response. I could not believe monsters destroying stuff was so boring. The movie oddly has this low budget movie approach in regards to the monsters which it does not have towards boring CGI buildings and tones of extras. After the 90 minute mark, there is one fight between the monsters which last for about 5 to 6 minutes in total but is only shown in 30 seconds to a minute snippets as it keeps shifting to the dull poorly directed and cannot act human characters. The battle itself is reminiscent of the “guy in the suit” type fighting from the Japanese 70s even though it is all CGI. I did not really like that approach. In addition, everything is dark and set in the rain. The choreography of the actual fight is nothing to call home about. So, it is rather dull and anticlimactic even though it ends with a literal “blast” and not a figurative one. In regard to “Godzilla” (2014), I cannot even discuss whether I liked it or not. The discussion does not reach that point since it is overall incompetent. It is, at its core, a Syfy Channel Friday night feature in the vein of “Sharknado” (2013) but given a 160 million dollar budget. And the money does not help. It actually makes it more difficult to watch compared to the obviously bad movies which, at least, have “camp” value. By trying to make a “Roland Emmerich” movie, it also inherits Roland Emmerich’s rather absurd self-seriousness which only he could really make work. “Godzilla” (2014) is a movie made by rookie director and it shows. While there are not many good actors in the movie, there are many bit part actors who can do what they do competently on auto pilot. However, this director even made them bad. This also goes for the good actors which include “Juliette Binoche”. She is only in the movie for about 10 minute. 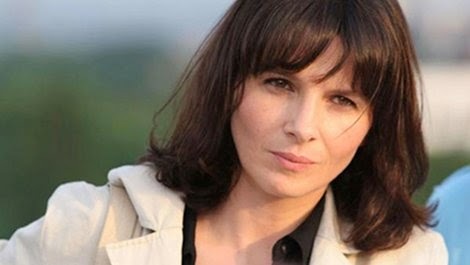 Why would you get Juliette Binoche for only 10 minutes? Even these good veteran actors are bad in the movie. This is an incompetent movie that shows you should not give a novice director a blockbuster. However, Hollywood seems to disagree with this as it gave a writer who has never directed a thing in his life the next “Star Trek” movie. Oh this is sad. Really sad. Not the review, it's great, but what's been done to the beloved monster. I've been watching the original Godzilla movies lately since my near 5 yr.old nephew got into them. My fault, I was trying to keep him entertained one day and said "ooh, let's watch this!" Now he's waiting for Mecha-Godzilla to come in the mail to complete his collection with King Caesar. LOL. I think Japan needs to step up and take back the reigns to their own creation. Nothing beats the originals. Campy fun. They weren't afraid to show giant monsters crunching Tokyo underfoot, with little to no regard for the people. They were "out of sight, out of mind" for the viewer. We only saw the one little boy shouting "It's Godzilllaaaa!" and his scientist father, complacent mother, groovy older brother in plaid pants and his pretty girlfriend. And even then we don't really care because they are reminders to knock us on the head for a bit when the epic battles get to much. "Hello, remember us? The humans? We're still here and trying to protect ourselves." Then it's back to the carnage, but no blood, no guts. Only from the monsters as they claw and scratch and Godzilla does his frustrated jump, shake, and roar and swings the other by the tail. Campy fun stuff. If anything, they must remake Godzilla vs. the Smog monster. That one had a super strong ecological message. It was so far out. My guess is this Sci-Fi channel director was trying to create 'Cloverfield' all over again. Now that was really goood! Genuine scares. and the budget was less than half of this one. 30 million. What a shame that budget was wasted here. If I remember the Roland Emerich version, the humans caused more damage than Godzilla at times. He's just trying to walk through the city minding his own business and they are shooting at him left and right and splitting buildings in half and everything. In this version, Godzilla looks bigger than ever. But I hate when they shroud the monster in the dark to save on the effects. I want to see Godzilla with his crooked eyes in all his rubber suited glory. When he spits fire does his back scales glow? That became a big part of Godzilla's bag of tricks in the later films. This version does get Godzilla himself right. He does have the glowing scales and his energy attack. You should watch it for yourself or at least rent it. It's more accurate to Godzilla than the 98 Godzilla. I've heard the director's other movie is good despite the lower budget and I would not exactly call him a SyFy channel director. I can't say that the human characters are pointless. Bryan Cranstion's son in this does prevent the MUTO eggs from hatching and making the problem worse. Also, the TOHO executives did like this and The director of the Smog Monster one was involved. Thanks. From the previews I can tell he looks pretty good. And Smog Monster was always my favorite so if he approves, then I would give this a chance too.